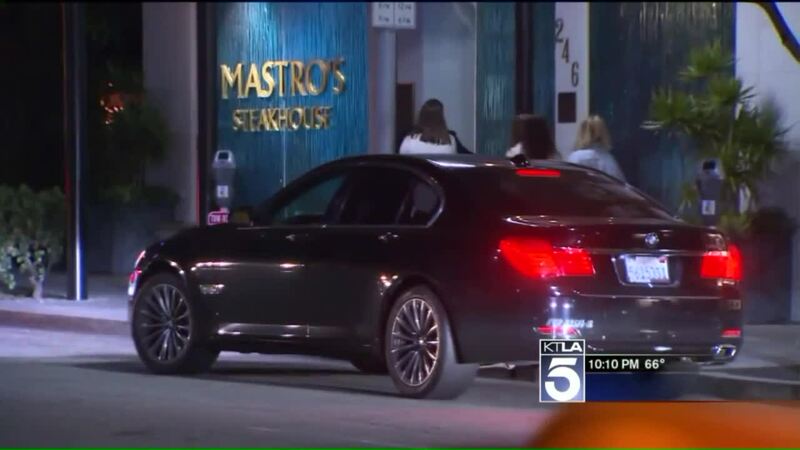 KTLA -- A Santa Barbara woman said Monday that a valet at Mastro's Steakhouse in Beverly Hills gave her brand new BMW to the wrong customer who then wrecked it less than 5 miles away. Last weekend was supposed to be a celebration. Holly Schneider, a working mom, was in Beverly Hills with friends, excited that she had just bought a new car. "I'm a single mom, I work every day, I got to school, I saved up. This was like, my celebration dinner with my friends. It just blows my mind," said Holly Schneider in disbelief. After dinner, Schneider says she gave the valet her ticket to get her car back. "I waited for a while and didn't think anything of it, and then they pulled a car up that looked just like mine. But then I went to get in the car, and the interior was different." After the mistake was pointed out, the valet brought back another car 15 minutes later -- but this one still wasn't Schneider's. She says after waiting about an hour, the valet manager gave her the bad news that they'd given her car to someone else. They called the police and were able to locate the man driving her car, because his car was still at the restaurant. But when they spoke to the man, he said he was stuck on the side of the road, not sure quite where he was, with a flat tire. It was later discovered he had been in a wreck and had completely destroyed the car's front tire, and the man responsible had been let go by police. Schneider was then stranded in Los Angeles with no way to get back to Santa Barbara. Though the valet company offered to pay for a hotel room, Schneider says their company card was declined, and she had to foot the bill herself. She says that while she's glad she's happy no one got hurt, she hopes precautions will be taken in the future to ensure that this doesn't happen again. In the mean time, Schneider is reportedly out $200 for the hotel room, $500 for a rental car to get back home, had to pay her babysitter to stay overnight with her children and even had to miss work the next day, all because the valet gave her car to the wrong person.